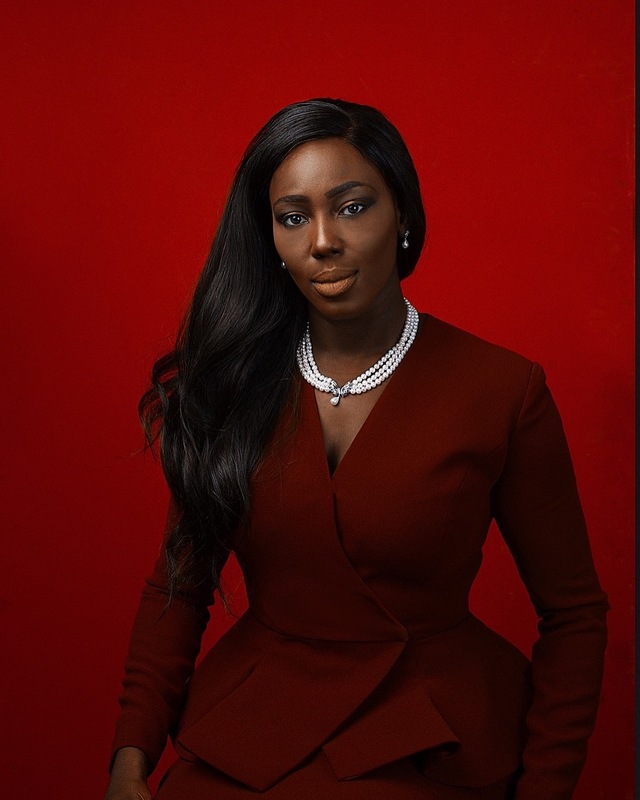 Abimbola Bamigboye sat with the AWP Network to discuss her business, what inspired her to start and her plans for the future. How did you arrive at your business name? Audeo is a Latin word, which means, “I dare” in English. It could also mean “venture” amongst other translations. I first saw it in a novel when I was 12 years old and it stuck with me. The interesting thing is that I do not even remember the title of the novel but I always knew that when I owned my business one day I would call it that. My first job experience was my inspiration. I was hired to do telesales for a family portrait studio right out of university. During my time at this company, I soon realized that even though it was well-funded and had shareholders who were wealthy, the business failed because they did not have the right people working for them. The company did not keep proper books and therefore, did not have the information with which to make the right business decisions and were running a blind ship. So I had an idea! You know how in Nigeria it does not matter what you go to the hospital for, but they always give you Vitamin C? I had the idea that I could create a Vitamin C type product that would help small businesses succeed. I worked with the company for about 18 months before I went on to KPMG and sadly the portrait studio closed down shortly after. I remember feeling that if only the company had access to this product that I want to create, maybe their story would have been different. Audeo works with small and medium scale businesses (SMEs). My company provides management accounting, tax and advisory services at varying levels of the business development process. Bootstrapping. When I left KPMG I had only 3000 naira in the bank. At the time, leaving the job might not have been the greatest idea but I would not have had it any other way. The business has grown organically from revenues and with support from friends and families. Heaven knows that I have some “loans” which are never going to come due. This is a tough question to answer especially as every business will tell you that they are better than the competitor. I can only talk about my vision and in that I am narrow-minded. I want to help businesses to succeed and this is “WHY” that determines how we shape our business and how we deliver value to our clients. I do not know what drives my competitors. The long time plan for this idea is to scale across Africa and to become the premier choice for back-office support for SMEs. It is my goal to build a full service Pan-African business with exceptional people who are committed to helping businesses succeed. The same challenges as every small and growing business! financing and talent sourcing. It has been extremely difficult to raise money to fund a professional services firm no matter how noble or grand the idea is. It is not a tangible product so banks won’t come near it (even though we sign yearly contracts with our clients) and even when they do, the costs of the funds are too exorbitant. The challenges relating to talent sourcing are two-fold; for one, without money it is hard to hire, train and retain good people and secondly, good people are hard to find. We are constantly recruiting and for any business, the cost of recruitment is always a challenge. However, I guess what not having money does for you is that it makes you extremely creative in solving problems so I have learned to hire for attitude before skill and now I can say that I have a team of exceptional, energetic people! What key things do start-up entrepreneurs need to know? Keep account. Even if you cannot afford to outsource at the start, use excel and record everything going out and coming in. Network. Network. Network. Work your network, it takes a village. Focus on your customers. Do not lose sleep over your competition. Trust me, everyone is on the same hustle, so focus and trust your journey. Fear Not. Do not be afraid to take risks. Of course, I do not advice that you be foolish but you know it is good when it is uncomfortable. The worst that will happen is that you will fail but you will learn. Read a lot. Read everything that you can – on leadership, on money, on growing your business etc. Just start. Having money does not guarantee that your business or idea will be successful. If you have an idea that requires capital outlay then you have to find the money or the right partner who has money. African youths can support each other by divorcing mediocrity and embracing education. I saw replies to a tweet the other day about the need for job seekers to ensure that their CVs were properly edited and spell checked. You know, the basic stuff and I was appalled. From raining insults at the person who tweeted it to saying English is not our first language. We must push each other to do the things that are right and required for our advancement. At the moment, we have about 16 people on the team but a lot more jobs have been created overtime as some people have come and gone in the (6) six years that the company has existed. Technology is very crucial to our business, from using an accounting software to our in-house training portal which we are currently building. Technology gives us the ability to deliver financial statements accurately, as well as perform simple and complex analyses and share information effectively. In Africa, we must be committed to building an ecosystem that allows all kinds of ideas to be developed. We must also continue to invest in education and infrastructure. The mind is truly a terrible thing to waste. So much wisdom. Well done!